Thurgood Marshall may be one of the most important lawyers in the history of our country yet I would be surprised if very many people really knew who this man was. For my part, all I really knew was that he was the first African American to hold a seat on the Supreme Court and also created a lot of positive change within the world of civil rights. 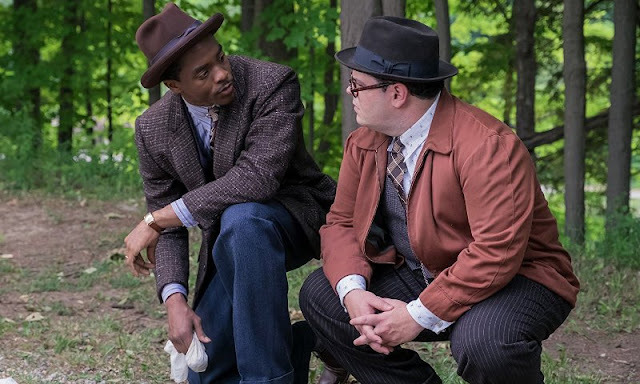 Watching this movie was a real eye opener as director Reginald Hudland does a great job of allowing the audience to get to know the man during one of his most important cases as well as shedding light on the early development and growth of the NAACP. 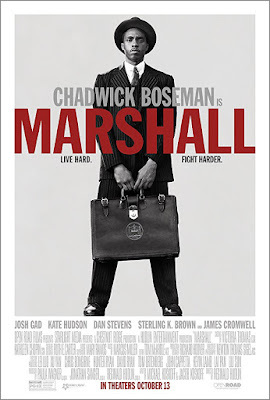 Playing the role of Thurgood Marshall is the one and only Chadwick Boseman who is quickly becoming one of Hollywood's hottest commodities. Boseman's performance in this movie completely justifies that attention and he fills every moment on screen with power and presence. 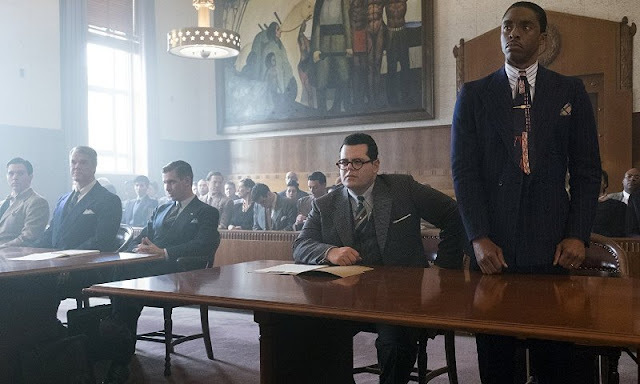 At his side in the court room is Josh Gad who plays attorney Sam Friedman and, on the other side of the court room is Dan Stevens as prosecutor Loren Willis. Both men are equally up to the task to take on this heavyweight material. Kate Hudson plays the would be victim to Sterling K. Brown's falsely accused defendant, Mr. Joseph Spell. Marshall is a very important film from a historical perspective and should be considered essential viewing for anyone who wants to learn about this powerful figure who fought tirelessly for civil rights. As a court room drama it is solid and hits all the standard beats with an ending that is acceptably satisfying.